This will bring up the CAM window, and example of which is below. 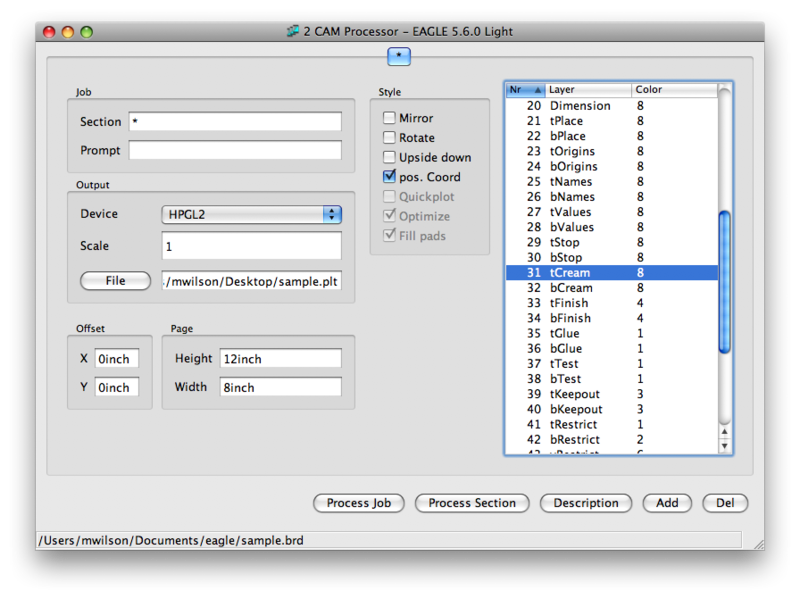 In the Output section select HPGL2 as the device and click on the File button to choose a destination. In the right hand list deselect everything except for layer 31: tCream (if doing the bottom of the board, select layer 32: bCream.) Now press the Process Job button. The file will be written to your selected destination.